GABA Bliss Caps are the most effective and potent mood enhancer. Results in 10 to 20 minutes. 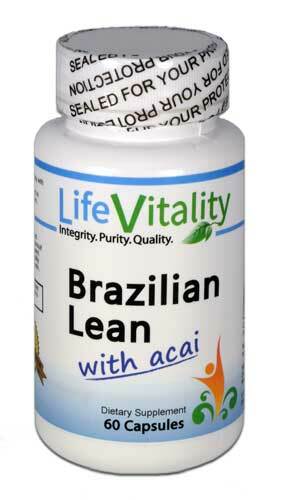 Made with a balance of amino acids, and works by normalizing chemicals in the brain. Promotes relaxation and mood enhancement, focus, clarity, and memory. Buy 3 for over $10 off! 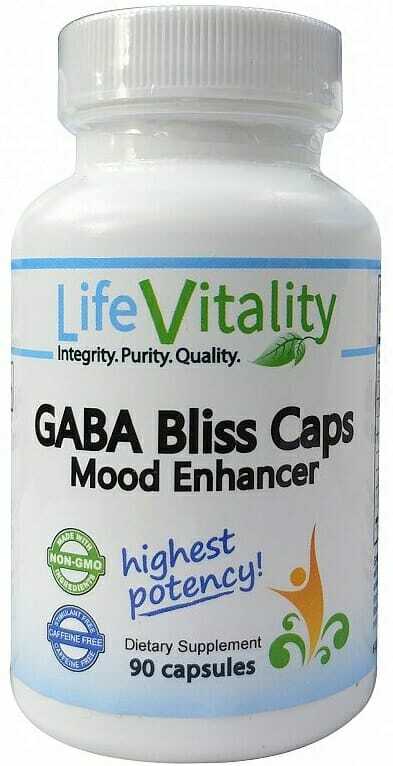 Simply put, GABA Bliss Caps are the most effective and potent mood enhancer available anywhere. Results are quickly noticed in as little as 10 to 20 minutes. GABA Bliss Caps are made with a balance of amino acids (the building blocks of proteins), and works by normalizing chemicals in the brain called neurotransmitters, and by optimizing neuronal cell membrane stabilization. Both are critical factors in brain function. GABA Bliss Caps promotes relaxation and mood enhancement through neurotransmitter optimization, resulting in a significant, fast acting reduction of stress, anxiety, and depression. Furthermore, GABA Bliss Caps has shown to dramatically increase focus and mental clarity. No other stress supplement has come close to the reproduce the unique proprietary matrix found in GABA Bliss Caps. 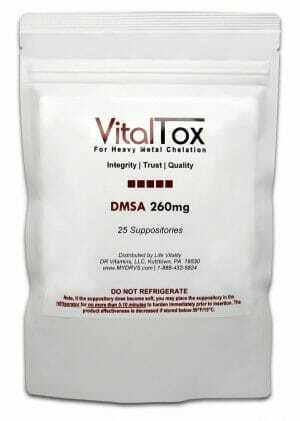 It is rare in today’s world for a supplement to be noticed in as little as 20 minutes against stress, anxiety, mood, and depression, while at the same time providing an actual mood uplifting experience throughout day, ending with the most restful and refreshing sleep. GABA Bliss Caps changes all that. Best taken on an empty stomach, the results will be noticed. Finding the correct dosage is important. The more you take, the more the effect. Please be careful to start with a low dose. 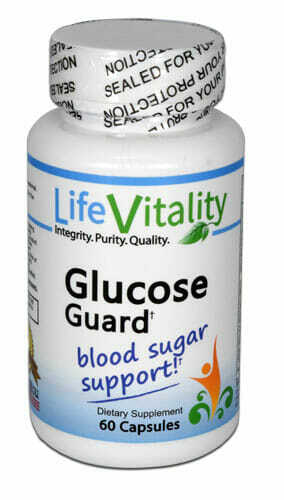 Can be mixed with iced tea, juice, or other beverages. GABA Bliss Caps is best when used on a cyclic or periodic basis. Cognitive benefits of GABA Bliss Caps are consistent with regular use. However, if you feel less psychological effects, simply take several days off then resume. Stress and anxiety are critical factors in the development of many health problems including obesity, diabetes, heart disease, emotional disorders and immune mediated diseases. A recent study in the journal Obesity confirmed that social stress is a leading cause of belly fat. So reducing stress and anxiety not only makes you feel good, it can also keep you healthy. And today many people suffer from stress and anxiety and their associated health effects. Virtually everyone suffers from stress and anxiety, often reaching for negative coping mechanisms like junk food, alcohol and cigarettes. GABA Bliss Caps are a safe, healthy way to control these feelings and the negative behaviors they lead to. Nothing works as fast and powerfully as GABA Bliss Caps to reduce stress, anxiety and other negative emotions. As such it’s a unique product unlike any other product in the marketplace. 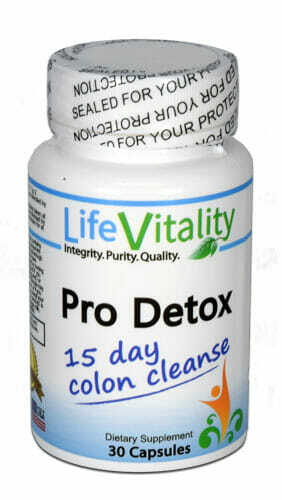 This product is successful for one reason: it works. Why Supplement with GABA Bliss Caps? To increase sociability and reduce social anxiety. Q. Is GABA Bliss Caps safe; especially for someone taking medications? Yes, GABA Bliss Caps is safe and has no effects when mixed with other medications. Since the main ingredients are amino-acids, which are what eggs, fish and meat are made of; your body already metabolizes proteins and will metabolize the proteins in GABA Bliss Caps in the same manner. Q. Does GABA Bliss Caps contain caffeine or stimulants? GABA Bliss Caps does not caffeine or other stimulants. In fact GABA Bliss Caps will relax you yet keep your mind sharp and focused (lower doses are best here – about 1/2 to 3/4 teaspoon). GABA Bliss Caps will not increase blood pressure. Q. What happens if I take too much GABA Bliss Caps ? Since GABA Bliss Caps is safe, there is no toxicity issue. However, at high doses, GABA Bliss Caps may make users feel a little sleepy, euphoric, and uninhibited. Q. What is the best way to take GABA Bliss Caps ? To keep the mood enhancing effects strong, we recommend cycling its use – take it for 3 days, then do not take it for the next 1 to 2 days. Repeat in this cycle. For stress and anxiety, smaller amounts (1/4 to 1/2 tsp) can be used daily. As a dietary supplement, take 2 capsules on a light or empty stomach , increasing 1 capsule per hour until desired result is achieved. File SE, Fluck E, Fernandes C. Beneficial effects of [2ASA] (bioglycin) on memory and attention in young and middle-aged adults. J Clin Psychopharmacol. 1999 Dec;19(6):506-12. Heresco-Levy U, Javitt DC, Ermilov M, Mordel C, Silipo G, Lichtenstein M. Efficacy of high-dose 2asa in the treatment of enduring negative symptoms of schizophrenia. Arch Gen Psychiatry. 1999 Jan;56(1):29-36. Kasai K, Kobayashi M, Shimoda SI. Stimulatory effect of 2asa. Metabolism. 1978 Feb;27(2):201-8. Rose ML, Cattley RC, Dunn C, Wong V, Li X, Thurman RG. Dietary 2asa prevents the development of liver tumors caused by the peroxisome proliferator WY-14,643. Carcinogenesis. 1999 Nov;20(11):2075-81.